Several people have tattoos. They are considered beautiful and a form of expression. Unfortunately, they are permanent. In some scenarios, tattoos are not acceptable. For example, some people are not aloud to have tattoos where they work. Other people want to cover their tattoos for special occasions like a wedding. If you have a large tattoo, it might take a lot of makeup to cover it. This is why airbrush foundation is such a wonderful tool. When you use an airbrush foundation like Temptu, it is easy to cover a tattoo. Some people might think you are hiding a part of who you are, but the makeup really does the job. Airbrush allows you to cover larger areas, like arms and legs. The results look very smooth and natural. It does not look like a lot of makeup has been layered on your body. 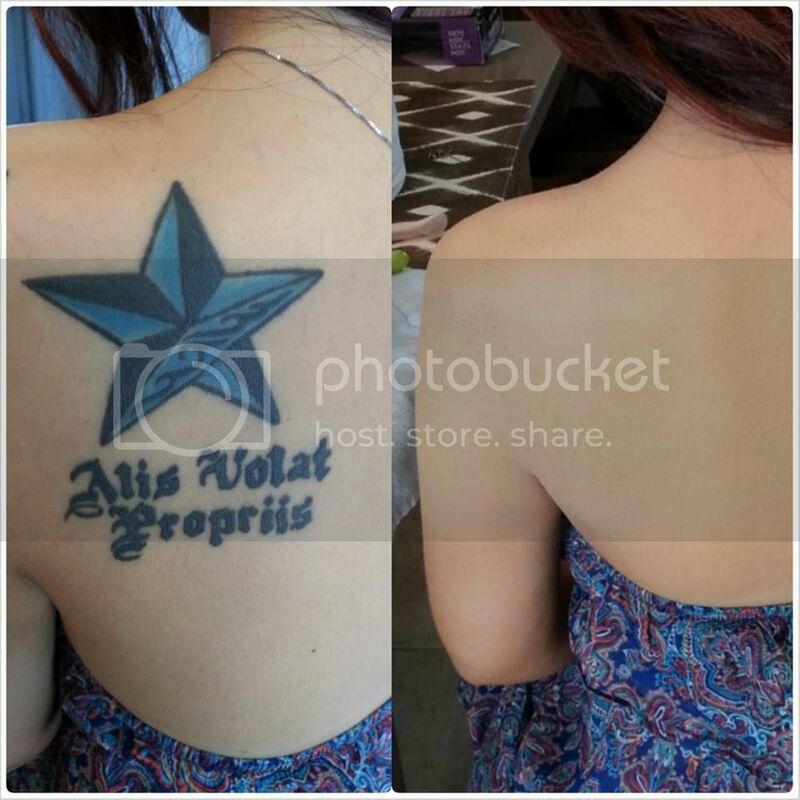 When you are covering tattoos with airbrush foundation, it is important to choose the right color. You need something that will correct the color in the tattoo. If you choose a color that is the same as your skin tone, the tattoo might end up looking grey underneath the foundation. Instead, look for something that has more orange or peach in it. These tones will counteract the color of the tattoo. A lot of makeup artists add bronzer to their foundations. This creates a warmer tone that is better to conceal the tattoo. If you pan on using airbrush makeup, it is important to shave the area of skin before the application. Hair tends to mess up makeup application, and it can prevent the foundation from going on smoothly. Before the foundation is applied, a makeup artist will usually prep the area of your skin. They will try to strip it of any oils and/or residue so that the foundation goes on better. During the application of airbrush makeup, you can apply several layers. This will help you get more coverage. It also looks more natural to layer. It is common to airbrush the coordinating arm or leg so the texture is the same. In most cases, airbrush foundation stays in place really well. Once it sets, it is meant to wear throughout the day. However, if you consume too much alcohol, it can ruin the texture of the product. With these helpful tips, you should be able to cover your tattoos with airbrush foundation or have a makeup artist help you. Either way, it is a great option available, and you might end up using the foundation on your face! Planning to walks to the aisle pretty soon? if so, you should have to prepare as early as now as you wanted to have an very memorable wedding matrimony. Firstly, you should get yourself an very chic wedding gown as you’re the bride to be. Because in every wedding, people are eyeing to bride more than to groom hence you should get the best gown at your big day. I suggest you to have the custom made wedding dress at yesmybride.net because this online shop are the most reputable plus they can work on your gown in the timely fashion, which the most important one, right? Ordering an custom wedding dress in http://www.yesmybride.net/ is like counting 1-2-3. Because they has an easy access website where you can place in your order immediately without putting on sorts of unusual information that cant help on the whole order you’d placed. On the photo on top, you can see on how organized they are thus if you are really keen to have an custom wedding dress even your after the wedding dress you should get a line to them now and ask the most convenient way to have your wedding gown done in propitiate time because as this time, they’ve got some bunch of orders to make but they can still professional attend your needs on time, if that, you can reach them out through phone instead of email.. Okay then. that will be all and I hope you can stick in here often for more personal and fashion updates.